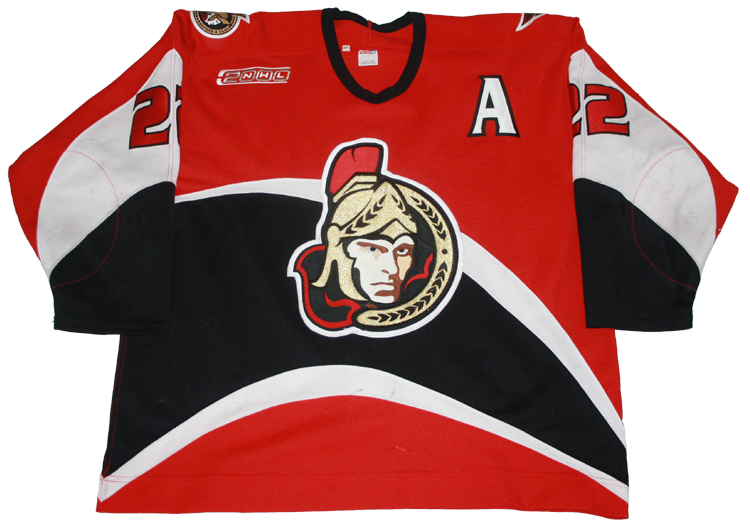 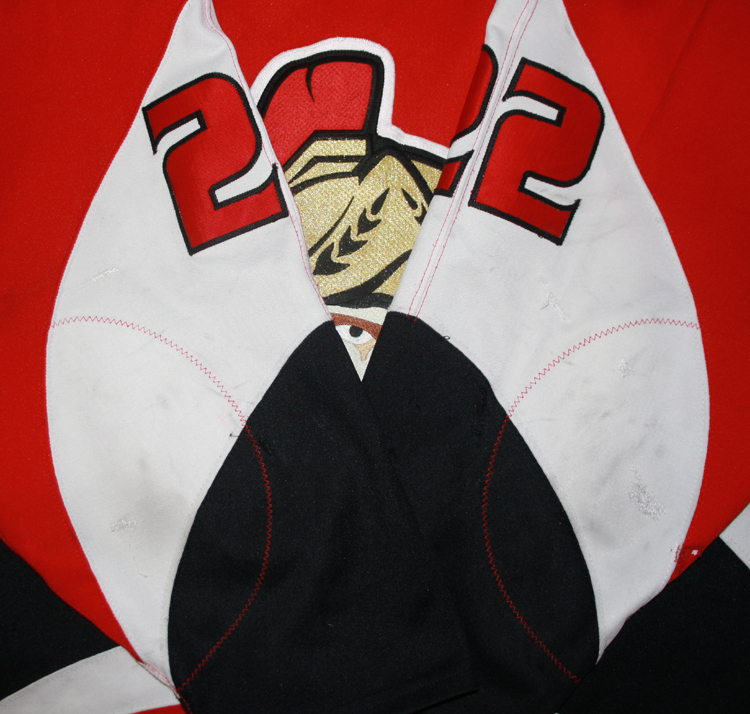 This jersey was worn by Shaun Van Allen of the Ottawa Senators during the 1999-00 season. 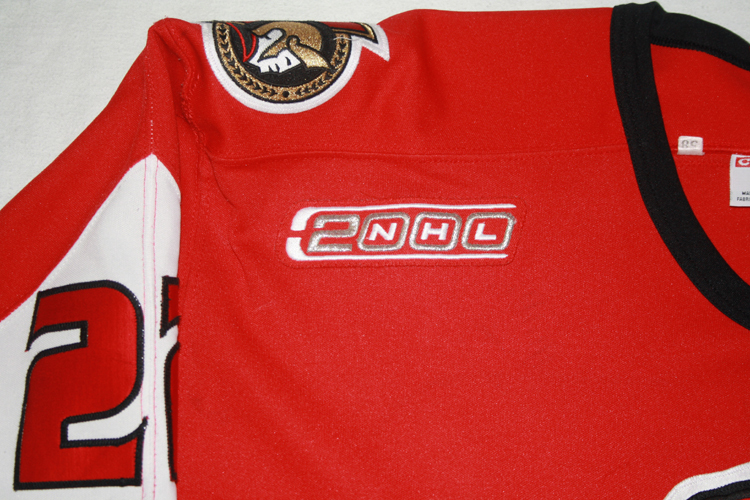 This jersey is affixed with the "NHL 2000" patch that all NHL teams wore during the 1999-00 season. 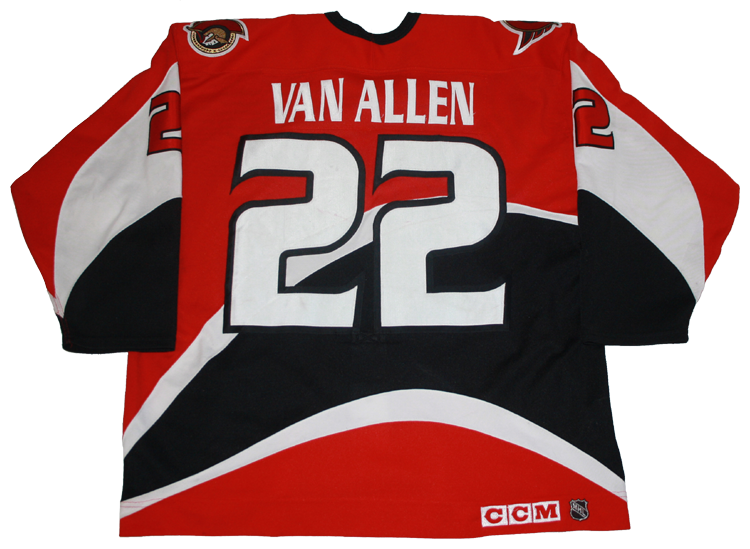 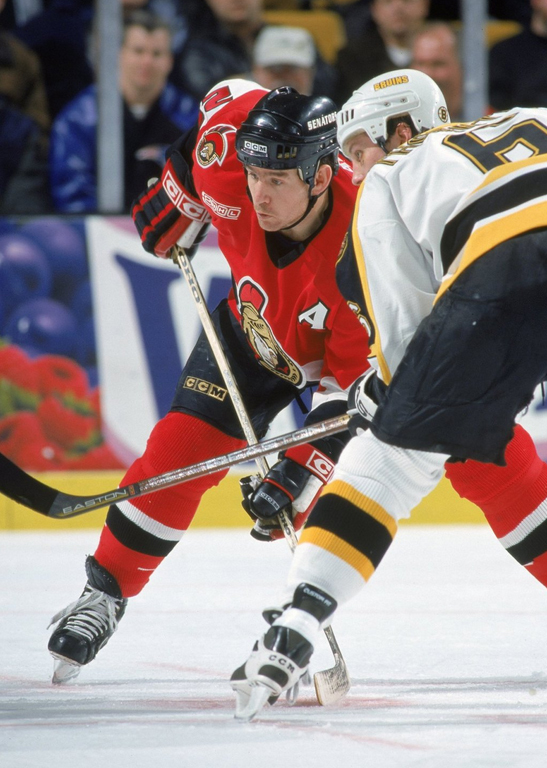 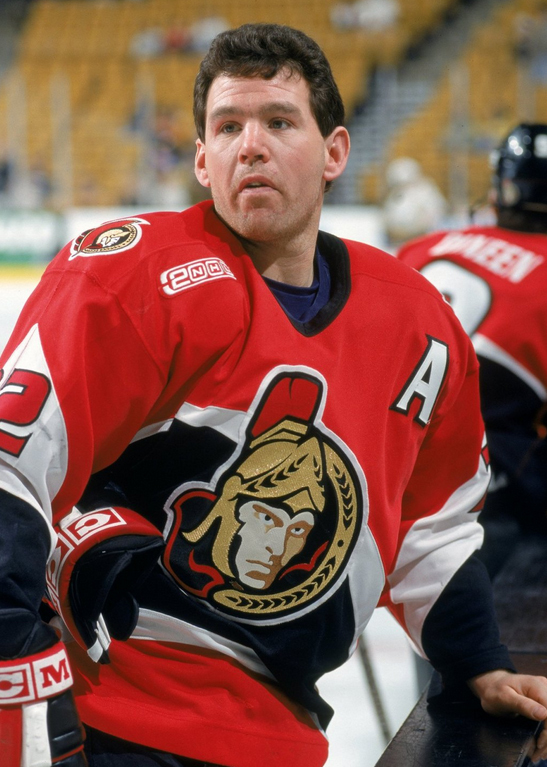 Van Allen is best remembered in Senators history for scoring the overtime winner against the Devils in game 1 of the first round of the 2003 playoffs.